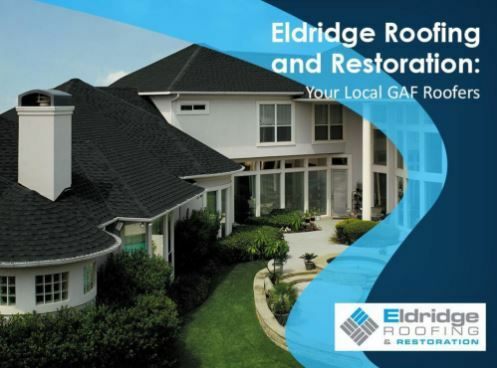 Eldridge Roofing and Restoration: Your Local GAF Roofers - Eldridge Roofing & Restoration, Inc.
As a GAF Master Elite® roofing company, Eldridge Roofing and Restoration belongs to a prestigious group of roofing contractors in the country. To earn this elite distinction, we had to pass rigorous training and testing that ensures our installation methods meet the superior standards GAF has established. In this post, you’ll learn why we’re the contractor you can trust for all your roofing needs. One of the benefits of working with a Master Elite roofing company like us is that you get top-of-the-line roofing systems from GAF. The GAF Weather Stopper® roofing systems that we install include a complete structural system that brings together all roofing elements into one cohesive unit. When we install this roofing system, it will deliver superior protection from unpredictable weather. We can offer you GAF’s wide range of premium roofing systems, including the Timberline® Lifetime Architectural Roofing Shingles. Featuring GAF’ Advanced Protection Shingles, this roofing system mimics the look and texture of wood shingles without the high price tag and performance problems. Warranties are vital for any big investment, and your roof is no exception. As a Master Elite roofer, we offer superior roofing warranties for your new roofing system. The Golden Pledge® Limited Warranty from GAF is our best system warranty, offering you 100% material and workmanship coverage for 50 and 25 years, respectively. Tear-off and disposal costs are included in this warranty, along with maximum wind coverage for up to 130 mph winds. Eldridge Roofing and Restoration offers professional roofing solutions. Call us today at (281) 816-6006 to learn more about the roofing systems we offer. We are a GAF Master Elite roofing company serving Houston, Katy and Conroe, TX.